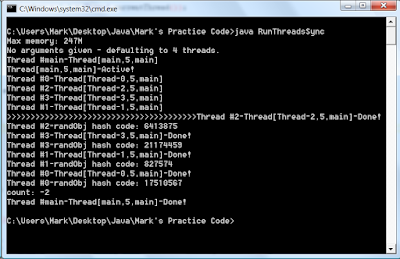 Here we create multiple threads that read and write to the variable "count". 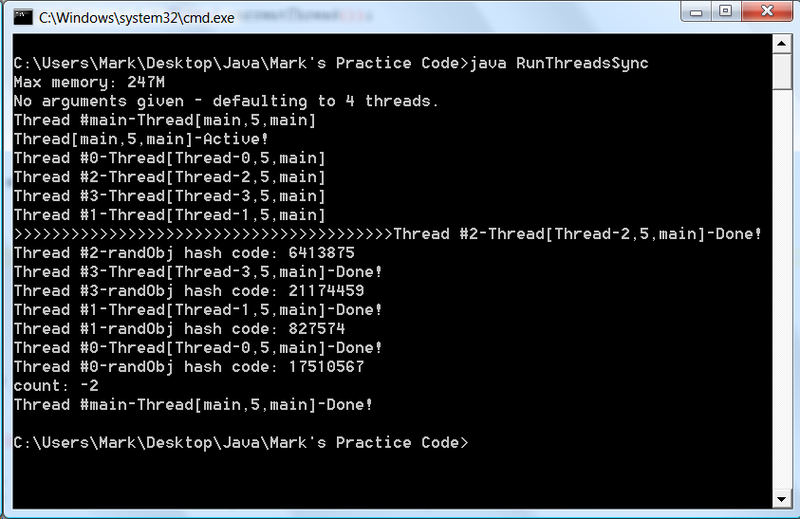 If the thread number is odd, it decrements count and if the thread number is even, it increments count. The methods "countUP()" and "countDown()" have the modifier keyword "synchronized" commented out (/*synchronized*/) on lines 11 and 16 so any thread is allowed to access them at any time. This causes a problem, because when Java modifies the variable, it is not an atomic operation. 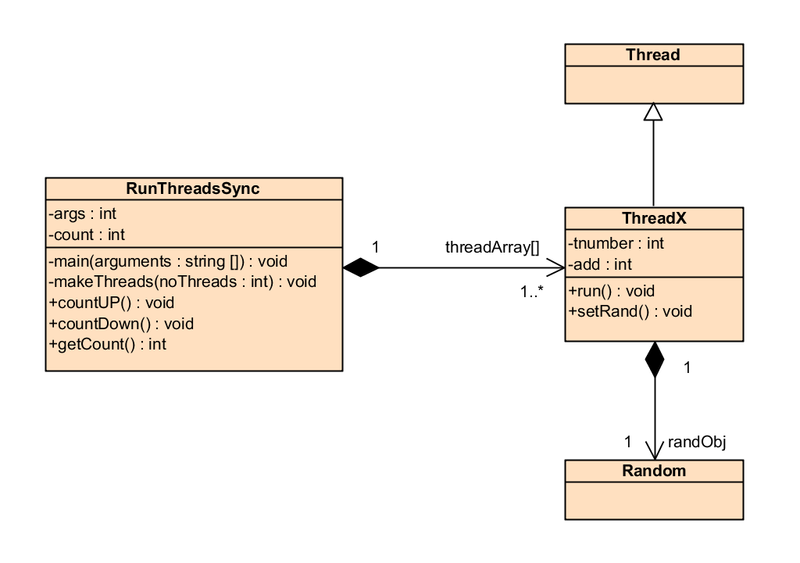 While one thread is incrementing or decrementing count another thread could do the same before the previous thread can write the new value to memory. This would cause the value to be wrong. If we remove the comment marks from the synchronized modifiers on lines 11 and 16, this prevents a thread from using these methods while another thread is using them. 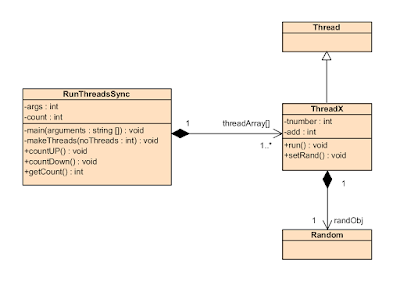 The current thread using the method must write the value back to memory and leave the method before another thread can access it. If the methods are synchronized and we have an even number of threads running, the resulting value of count will be zero. 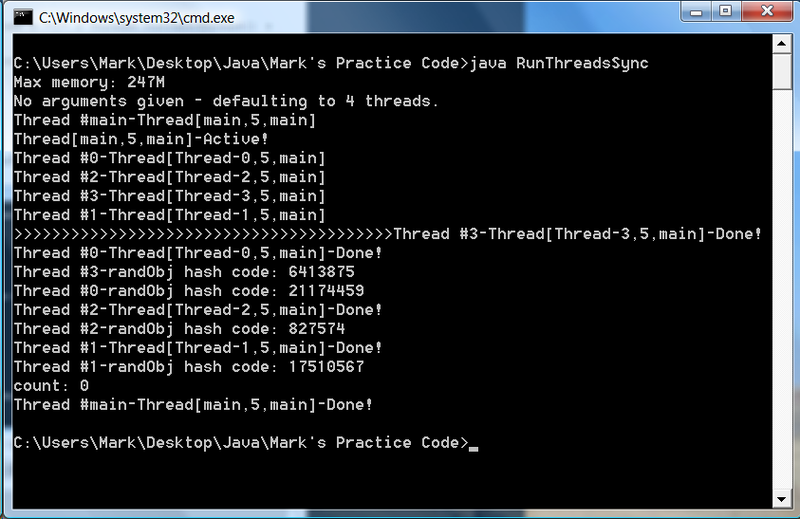 Although this value can be zero when the program is run un-synchronized, there is no guarantee it will always be zero. If successive execution of the program is performed, one can see that the number will vary from zero.